A small compact electric winch that incorporates 12/24 VDC or 115/220 VAC electric motor with infinitely variable speed control, lightweight materials, and high quality construction for portability and long-term use on small boats. The Model 388 is supplied with a mounting flange for optional slip ring assembly for use with real-time data cable. It also includes remote control and an optional boom for over-the-side operations. 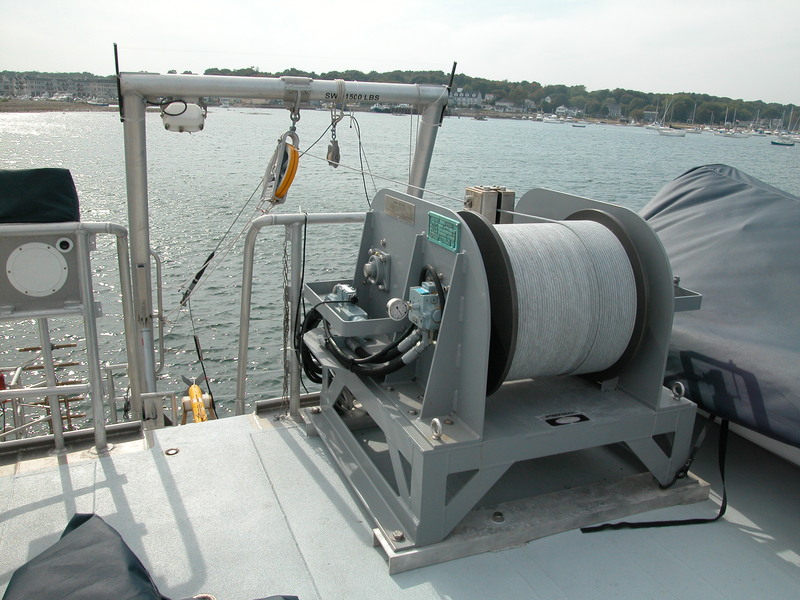 A proven multi-purpose hydrographic winch for CTD, side-scan sonar, and water sampling applications. Fully self-contained and incorporates an electric or hydraulic motor in the range of 1 hp to 10 hp with infinitely-variable joystick speed control, brake, level-wind, and optional slip-ring. The Model 1673 is fabricated from lightweight aluminum allow using high-quality construction for portability and long-term use in the marine environment. The Model 10031 Medium-Duty Sonar Tow Winch combines a compact footprint with a large diameter drum. This configuration is ideally suited for handling larger diameter tow cables required by side-scan sonar, sub-bottom profilers, magnetometers, or towed vehicles from small to medium-sized vessels. 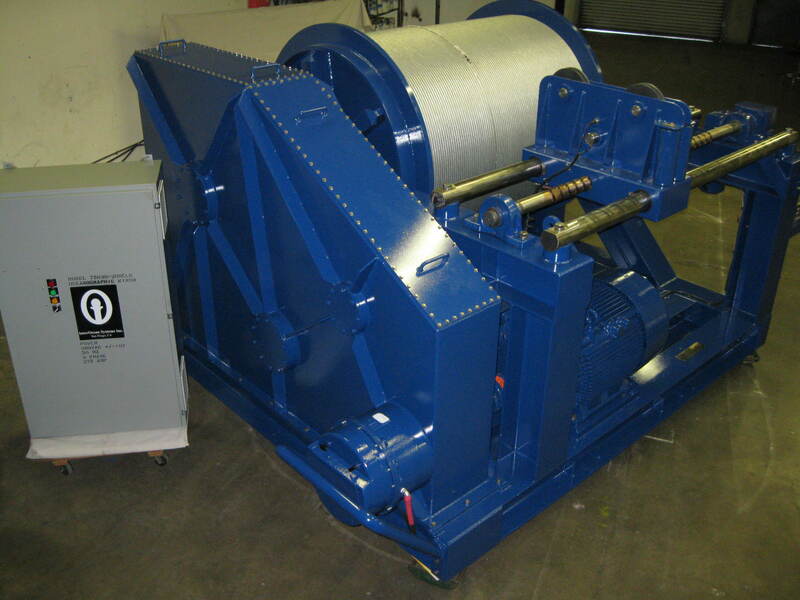 The Model 10031 is available with level wind, slip ring, and either electric or hydraulic drive systems in a range of 5 hp to 25 hp to allow a broad range of loads and applications. The Model 1871 Medium-Duty Hydrographic Winch for Tow/CTD is a highly versatile medium-duty winch designed to accommodate longer cable lengths for mid-water hydrographic, CTD, and towing applications. The Model 1871 incorporates steel construction for long-term marine operations with high reliability and exceptional utility. Can be configured with either electric or hydraulic drive systems in range of 10 hp to 25 hp and incorporates level wind and remote joystick control as standard features. Slip ring, grooved drum, and other options are available. The Model 10031-M Multi-Purpose Hydrographic Winch is compact and portable, engineered for long-term durability and reliability necessary for towing geotechnical equipment such as side scan sonars, sub-bottom profilers, and magnetometers. 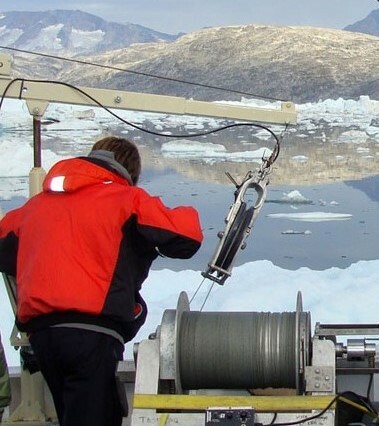 It is also used for geophysical applications such as sediment sampling and coring, in addition to hydrographic work including CTD and sound velocity profiling, water sampling, and instrument deployments. The Model 10031-M incorporates the latest in high performance motor technology with programmable torque control, infinitely-variable speed control, fail-safe brake, grooved drum, level wind, and integrated cable monitoring systems. High-quality construction using marine-rated materials ensures long-term reliability on deck in the marine environment. The Model 9933 Heavy-Duty Deepwater Oceanography Winch is a capable, heavy-duty oceanographic winch for deep tow and sampling applications. The Model 9933 is designed for handling long multi-conductor or coax cable, fiber-optic cable, or wire rope for open-ocean oceanographic work. The Model 9933 is available with an all-electric drive, hydraulic, or electro-hydraulic configuration in a range from 50 hp to 150 hp. 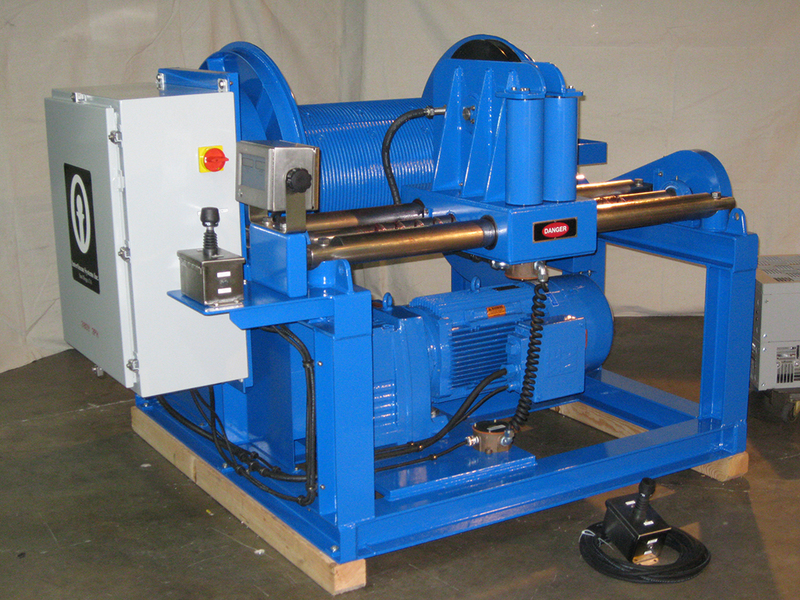 Hydraulic configurations offer direct connection to ship hydraulics, or it may be supplied with an integrated or independent HPU. 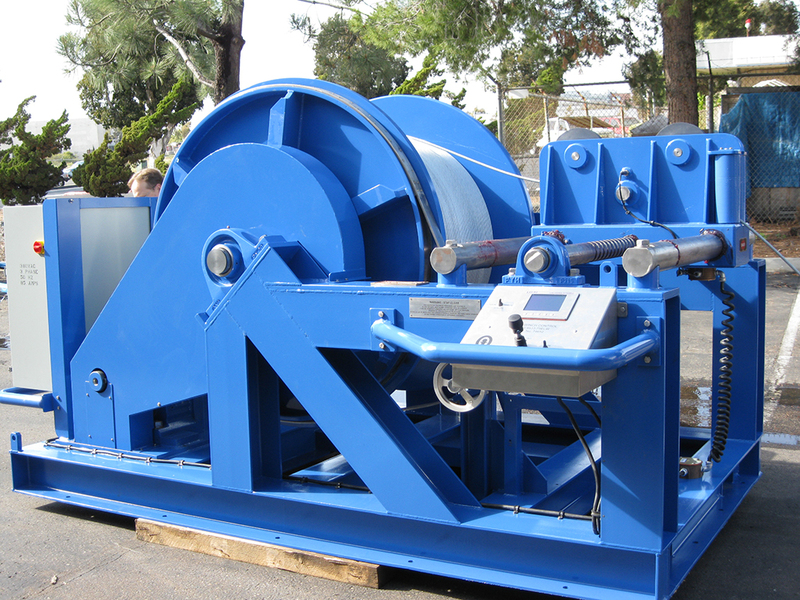 Includes grooved drum and level wind systems to assure perfect repetitive spooling and maximum protection of long cables under demanding conditions. Cable monitoring, display, control options, auto-rendering, and motion-compensation are available.